Hospitality Kitchen Signs are a group of Food safety signs and Kitchen safety signs related to that industry. 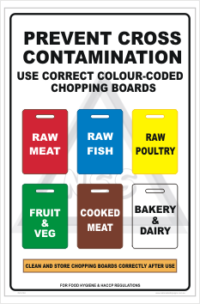 Present clear and visible guidelines and directions with our selection of Kitchen & Food Safety Signs, Provide employees information on housekeeping, dangers and hazards in the workplace. 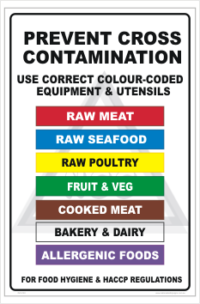 Food preperation signs, Coolroom Temperature signs, Mandatory Clothing signs and Hand wash signs. Of course there are many more. Check through here for the sign you’re after, or use the search bar up top. Vinyl stickers and polypropylene signs are food safe approved. These Mandatory machine instructions make it clear how to operate that piece of equipment safety. These come as Stickers or as a Polypropylene sign. They should be placed where they are easily seen, but also in a spot where they won’t get damaged. We can manufacture and help you design your own Kitchen Safety signs. Just select the template you want in our section HERE. We can send you a proof back of your design if you are not sure how it will turn out, or just want to see it before we manufacture it. Just make a note in the additional instructions on the product page, or even on the checkout page. 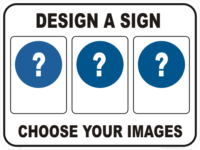 National Safety Signs is an all Australian business and you signs are shipped from Sunny Queensland. We will ship them out on the same day you order if we receive the order before 2pm AEST If you are in South East Queensland you have the option of picking up from our workshop in Gaven. Just click on the ‘pick up’ button in the checkout and the site won’t charge you any shipping. If they need to be manufactured, they are usually shipped by the next working day, unless your’s is an extra large order. Not sure on any of this? Call us on 07 5665 8996 business hours, or you can Fax us on 07 5665 9956.